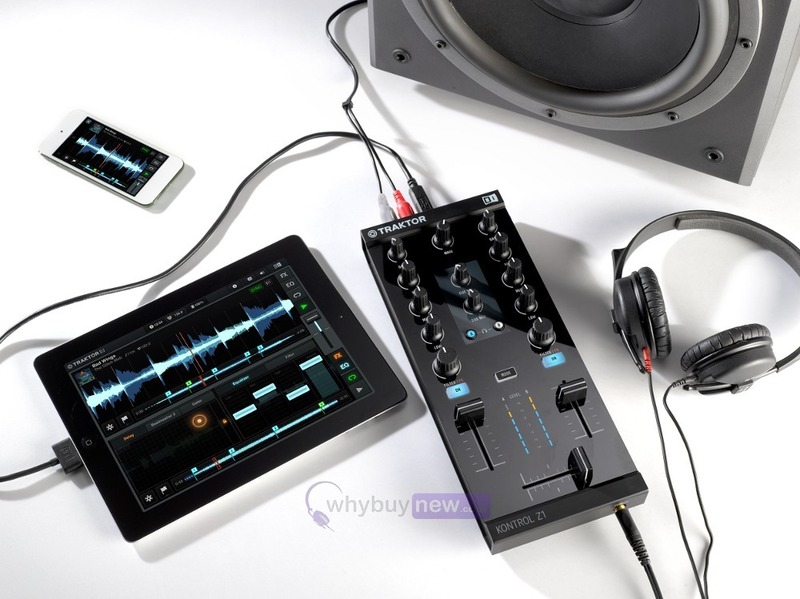 Native Instruments Traktor Kontrol Z1 is a compact 2 channel DJ controller with onboard audio. 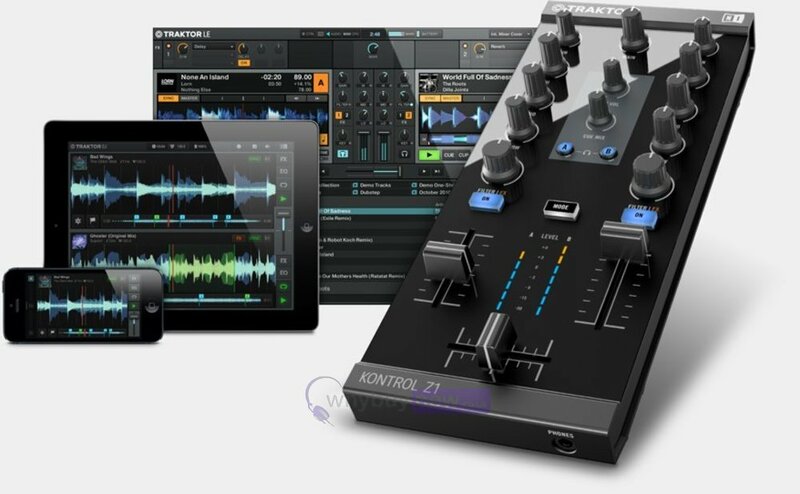 Z1 has been designed to compliment the latest Traktor DJ software for Apple iOS devices including iPhone and iPad. 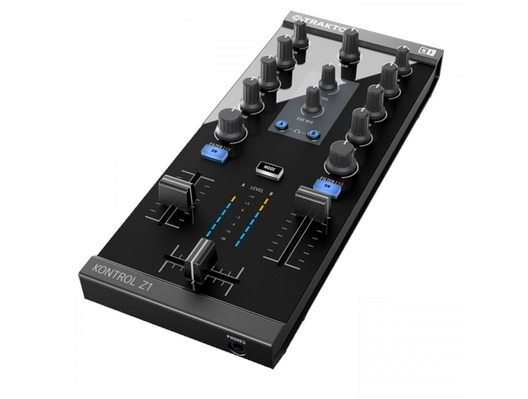 Traktor Kontrol Z1 has a high-quality feel thanks to the use of professional knobs, buttons and encoders. The Z1's rugged reliability is aided by a robust, yet lightweight, casing which guaranteed that the Z1 will provide years of loyal service. In addition, Z1 features high-visibility backlight buttons and easy-to-read meters which let you see what's happening even in dimly lit environments. 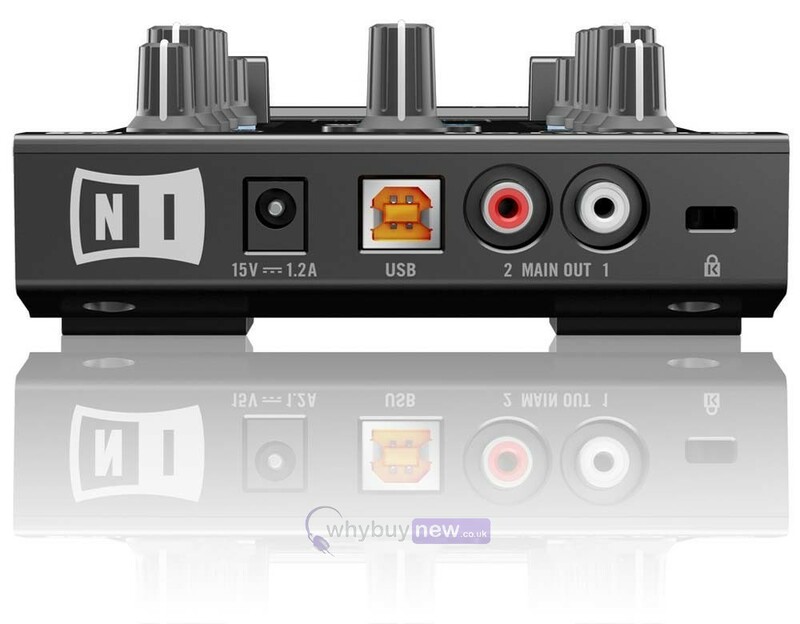 With the Kontrol Z1 you won't need an additional external soundcard as it features onboard 2-channel audio. The onboard audio is 24-bit / 96kHz so, wherever you're mixing, you can guarantee premium quality audio. Other features of the Kontrol Z1 include 3-band EQ on each channel, filter control on each channel and an ultra-low latency headphone cue for seamless mixing. Native Instrument Kontrol Z1 offers true plug-and-play compatibility with Traktor DJ software guaranteeing you a short setup time. 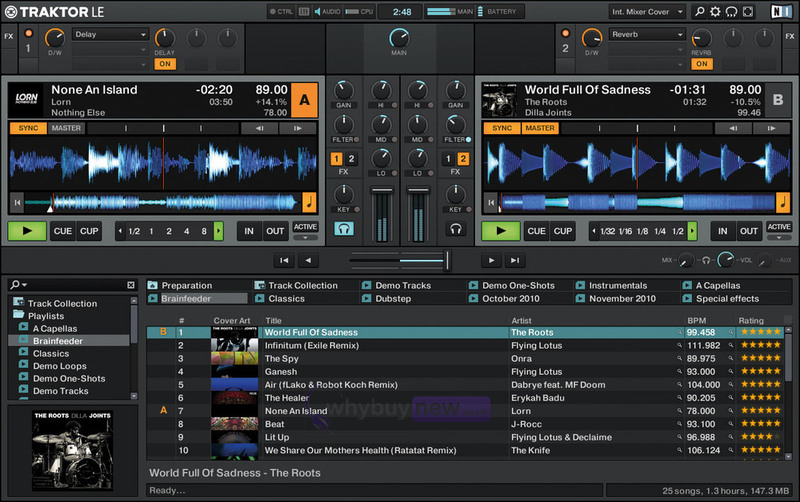 Z1 also comes bundled with Traktor LE 2 software to get you mixing straight out of the box. 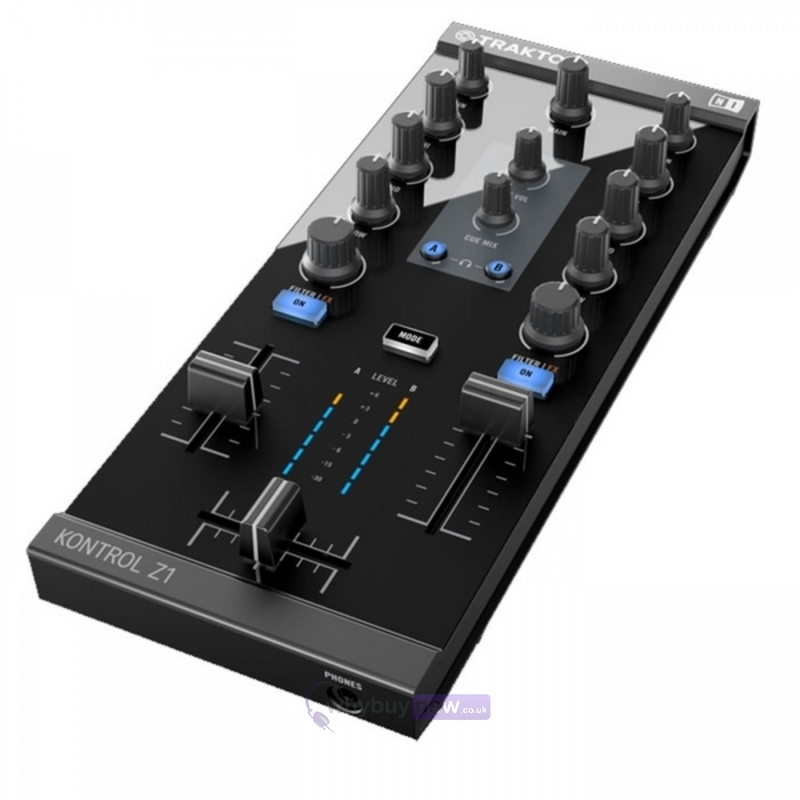 Here we have the Native Instruments Traktor Kontrol Z1 in brand new condition and in B-Stock. The B-Stock versions would have been on display at a training evening or trade exhibition only and will come boxed in good cosmetic condition with the USB lead, power supply, original packaging and a 1-year warranty. The unit has been deregistered.